Some food manufacturers are switching to names to confuse consumers. Give this handy wallet card to all your family so they know which additives to avoid at the supermarket. 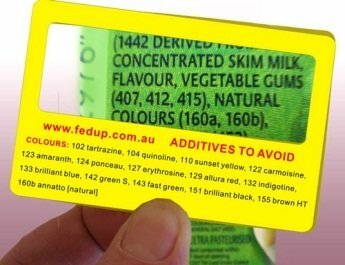 Includes names and numbers of all 50 additives to avoid. 10 cards for only $5.00 posted incl GST. You receive one free card with every book order.